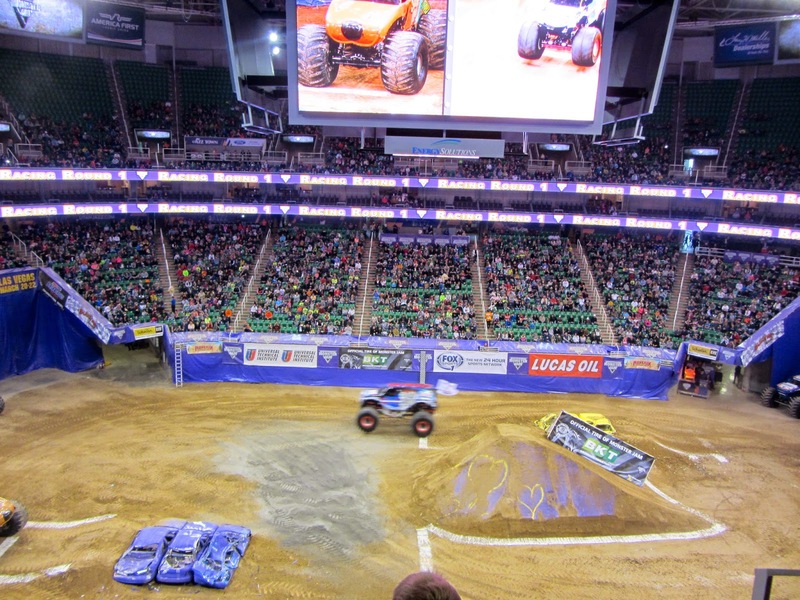 Collin took the boys to see a Monster Jam rally on Saturday. I stayed at home with Elinor and Zeke and Raef (we were babysitting the Burtons' kids that week while Robin was out of town). 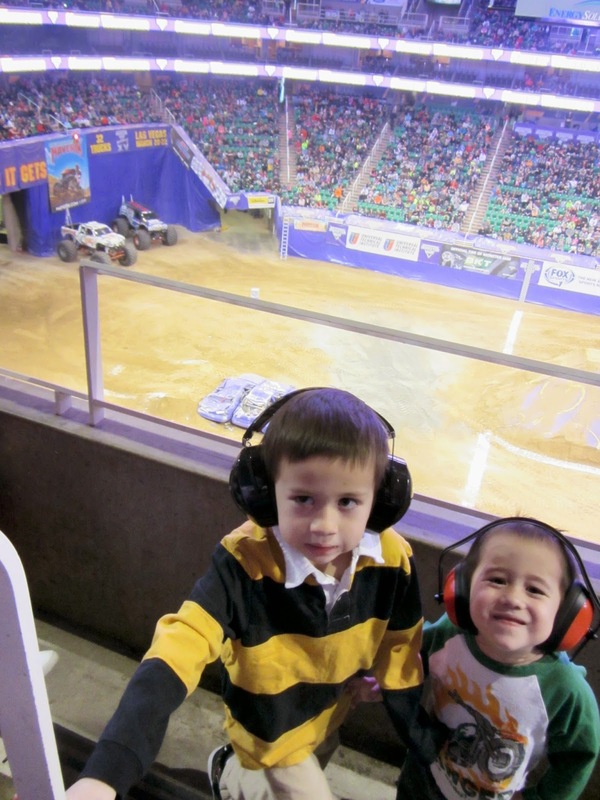 Collin didn't tell them anything about this outing until they were driving through the gates and the boys could see the monster trucks for themselves. To say they were excited would be a gross understatement. They were ecstatic! At one point, Sammy said that this was the best day of his life, and I really don't think he was exaggerating. 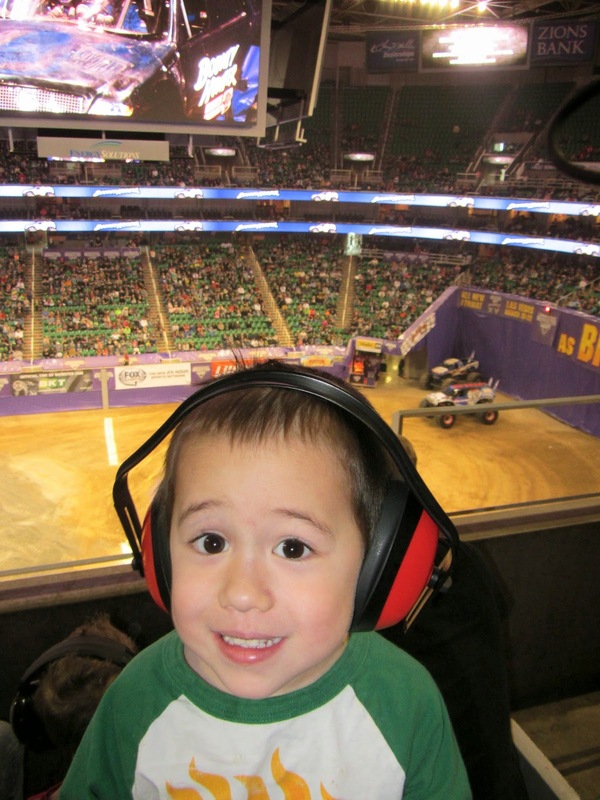 It was really loud in there, so noise-canceling headphones and earplugs were a must. 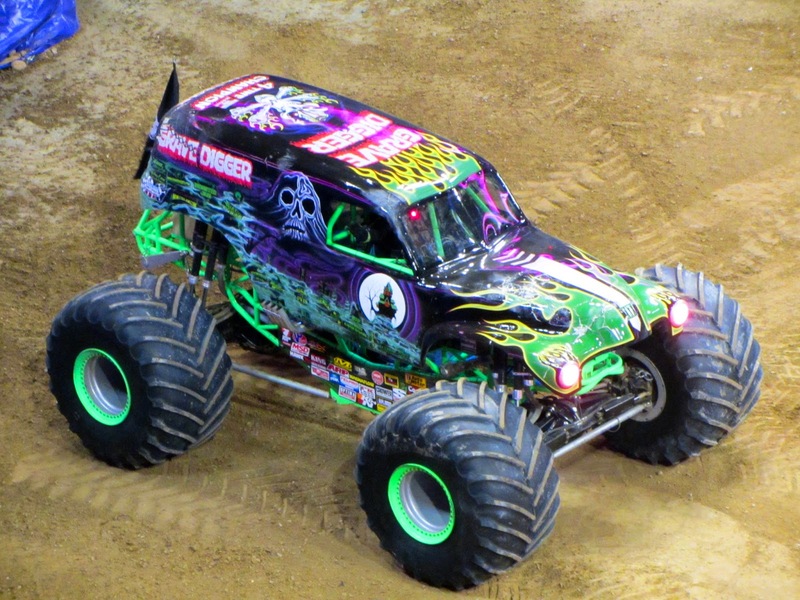 They saw all their favorites: Gravedigger, Scooby Doo (okay, so they didn't know about that one before, but they did think it was pretty cool), and I honestly don't know what other ones were there. 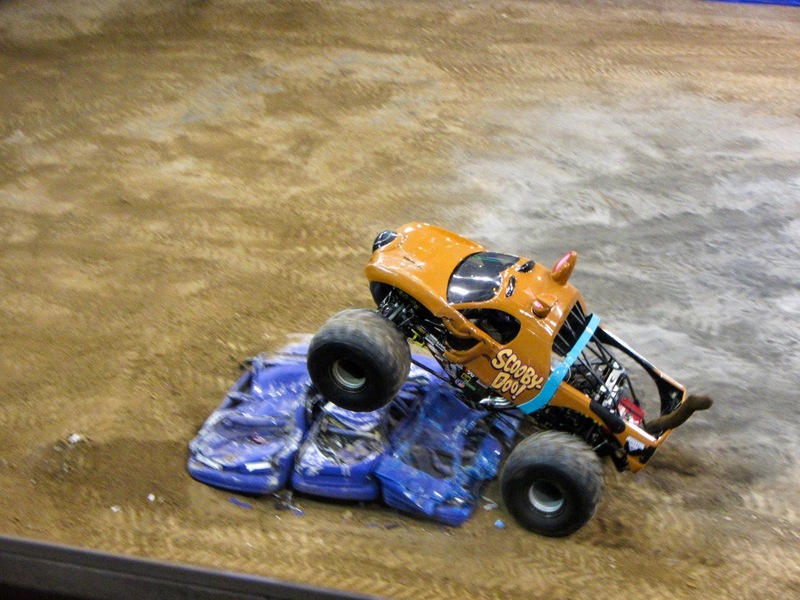 But they sure enjoyed watching them do cool tricks and crush cars.